A few weeks back, I entered into an unsettling “Facebook conversation” with a couple of screenwriter/filmmakers. Yes, I should have known better than to engage, but it was one of those moments when someone posts something that seems to require a response. You’ve probably been there yourself. You know if you say something you’re opening a can of worms, that life will be easier if you just ignore it, walk away. But you don’t. In hindsight, I now wish I’d walked away because the “conversation” that commenced left me so shaken, so depressed, almost to the point of paralysis. Thanks to the internet and sites like Facebook, we now live in a world where everyone’s a critic; everyone has a vocal opinion (myself included) and with that the ability to actually effect the world around them. This can be in some small way, as in just among your closest friends, or in a larger sense, by adding your voice to the many already out there gaining momentum. 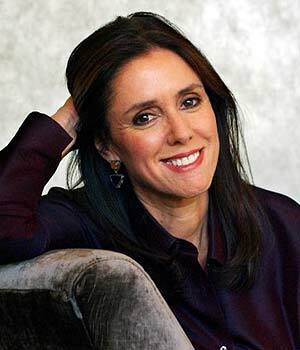 The particular tête-à-tête I was so shaken by started with a comment posted about artist, filmmaker, theater director Julie Taymor. Having recently been fired off –or at least asked to take a creative step back from– the much publicized musical SPIDER-MAN, Taymor’s name has been in the press quite a bit of late. Leading up to this parting of the ways between Taymor and her associates, were a number of tragic accidents during both rehearsals and performances of Taymor’s interpretation of this extraordinarily popular comic book character and the mythos surrounding it. Now I don’t intend to get into the details of what happened or didn’t happen or even point fingers as that is not what our discussion was, ultimately, about. And what I would like to examine here is less about the individuals themselves with whom I conversed, but what I see as a slippery slope of commentary that reflects a reactionary attitude that leaves little room for intelligent discourse and seems more based on emotional venting than on enhancing whatever medium is at the forefront of discussion. With the digital medium expanding, with information (accurate or not) at everyone’s fingertips and the opinions of both “professionals” and non-professionals now appearing side-by-side, with camera and phones that can capture every moment and present it as if it were real and place it within a context that might NOT be real, and with the popularity of shows like TMZ and the non-stop media insistence that other human beings’ suffering be viewed as must-see entertainment, I find myself increasingly uneasy. In part that I may one day myself be on the receiving end of it, that I may one day find myself unwittingly drawn to it, or simply that potentially creative, insightful people and their work may be suppressed or choose to withdraw out of the fear of what I see as an increasingly hostile environment. Yes, I know, it’s part of human nature. We used to go to public lynchings and watch Gladiators fight to the death for entertainment. Sure. It’s always been here with us. But I’m afraid I find small comfort in that notion, nor do I feel that it’s much of an excuse not to be a tad more self-reflective and attempt to elicit change. The comment posted that initially grabbed my attention was not the first negatively-tinged comment that I had seen posted about Taymor and SPIDER-MAN. What got me this time was the idea of perpetuating an environment that somehow diminishes artists and their art without the author personally knowing the artist or what the art itself really is. i.e. not having seen it or experienced it himself. And to take it one step further, the idea that what doesn’t work for one person should then be treated with disdain, contempt and commented on as if the commentator was somehow superior to the work or the artist. This is a transgression we see daily both on the internet and in print. But it’s always a little worse for me when it comes from one artist to another. This cannibalistic tendency is, in my estimation, far more dangerous than it might seem on the surface. The posted comment was in quoting director Neil Jordan’s statement that, after having sat down with both Bono (who was doing the music for SPIDER-MAN) and Miss Taymor, Mr. Jordan (who was being considered to write the play’s book), commented that it was clear that Miss Taymor’s vision for SPIDER-MAN was “narratively incoherent.” The post was meant to be, not a slight on Mr. Jordan, but somehow proof of Miss Taymor’s unworthiness as the visionary/director behind such a project. Now, if you want to discuss the physical dangers inherent in her vision and the possible difficulties in pulling it off practically without anyone getting hurt or, worse, dying, then I’m all for that. There’s most certainly a point where, vision or no, it is not worth a human being getting hurt. However, “narrative incoherence” has no universally shared definition. There is, in all reality, no such thing. To put Julie Taymor down for wanting to tell a story that did not fit into Mr. Jordan’s idea of narrative coherence is not a bad thing. Stanley Kubrick’s 2001: A SPACE ODYSSEY was termed “incoherent” by more than one critic. As was Andrei Tarkovsky’s SOLARIS. Hell, I was reading quotes recently that suggested the film INCEPTION was too difficult to follow narratively. And what of many Bergman, Fellini or Godard films? Or even the experimental narrative films of lesser-known artists like Seattle-based filmmaker Janice Findley? What might be a difficult narrative for one person to follow, may be no trouble whatsoever for someone else to follow with ease. But even if a work is created with the very notion that it should be interpreted differently by each member of the audience, it is no less valuable than a story that follows a more “traditional” narrative. This Kubrick quote is, for me, words to live by. I do not take it to mean that all film narrative need take this approach, but it offers an awareness that this approach is, indeed, a valid one. Coming from a filmmaker whose films were often met with harsh criticism as they offered a narrative approach often quite unique to the filmmaker himself and not in keeping with the “accepted norm,” I find inspiration in the boundaries Kubrick pushed. As someone interested in exploring narrative, structure, the over-all power of expression offered via filmmaking, I am constantly disheartened when I see other filmmakers and lovers of film close the door on particular avenues of expression via the medium. Living in Hollywood –a town I find very limited in its approach to telling stories on film– I am always relieved and excited to find a fellow compatriot, a brother (or sister) in arms, as it were, who shares my deep love and desire for open forms of expression and storytelling. So it is always difficult to come to the realization that there are very few of those people in my world. And most of the ones that ARE in my world, don’t live in Hollywood (Hmmm… do I see a pattern emerging?…). I recently had a conversation with a Hollywood filmmaker friend with very strict guidelines as to what actually constituted a film or filmmaking. He suggested that filming two guys having a conversation over dinner would “not be filmmaking.” If I were to buy into that school of thought, I would have to take Louis Malle’s MY DINNER WITH ANDRE off my DVD shelf. As someone who is about to embark on a project that I am aware might be “narratively challenging” for some, I find myself rather sensitive to arguments that suggest, directly or indirectly, that what I am attempting is, ultimately, invalid. It may not be the intent of the commentators, but the end result is the suggestion, and often the outright proclamation, that certain attempts are no more than the product of ego and steeped in pretension. Or worse, not real filmmaking. I will suggest that ego is an essential part of any artist willing to express themselves in a public forum. To even believe that you have something to say, something to offer that another human being may want to experience and engage in requires a certain amount of ego. For most of us, it’s a rather scary endeavor, but one worth overcoming such fears and allowing what’s inside to be seen by all. And to take a chance and know that you might fail. Or that you might succeed but no one around you may notice. And to know that quite often when your work is termed a “failure” by others, you are systematically thrown to the wolves. 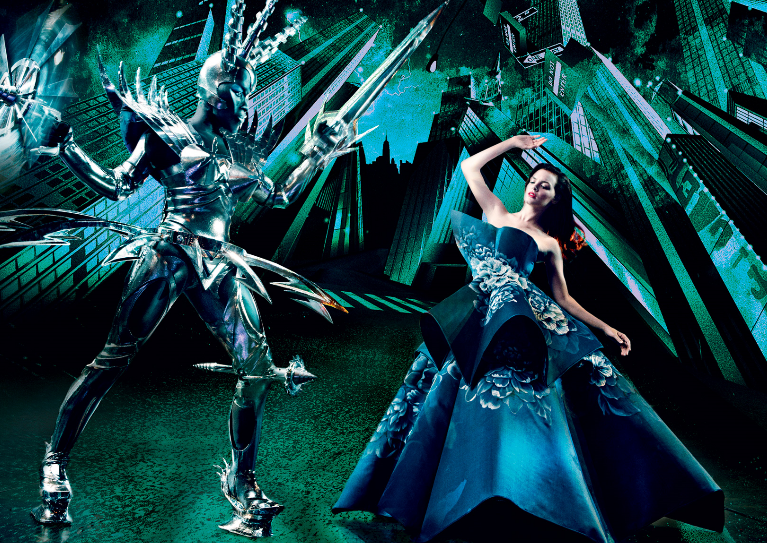 Which brings us back to Julie Taymor. It has been written that the producers of Taymor’s SPIDER-MAN were hoping for something with the visual splendor and excitement of CIRQUE DU SOLEIL. 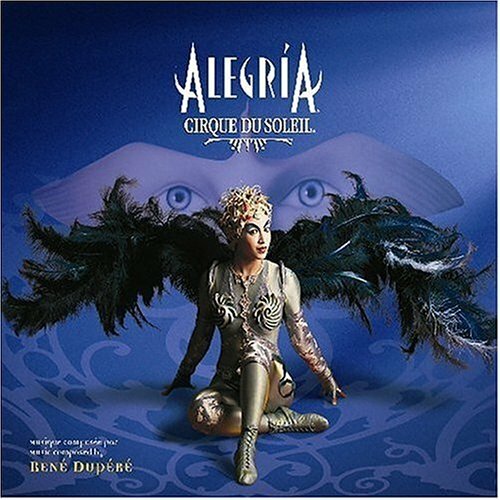 In fact, there was talk that the show, if successful, might even find permanent residence in Las Vegas, as CIRQUE has. And one has to assume that, given Mr. Jordan’s comments, Bono and others were well-aware of Miss Taymor’s vision for this piece long before it was put into production. It seems by all accounts, this was to be unlike anything before or since. Unique. Daring, Visionary. Expensive. I’m guessing (as I have not seen it but based on everything I’ve read) that it was all of those things. However, some of those things (or even all of them) aren’t seen as good qualities by some. For all we know, Taymor’s vision for SPIDER-MAN, had it worked logistically and managed to have an actual run, might have been a masterpiece of theater. Or maybe just a lot of eye-candy. But in truth, it probably would have been both, depending on who you spoke with. But like so many films and other works of art derided in their day only to become cherished works in later years, Julie Taymor’s SPIDER-MAN may have become part of our celebrated culture. Or not. We’ll never know. But what I do know is this: when someone with a vision –and Taymor certainly has vision, regardless of whether or not it adapts to your tastes– is lynched and derided in the public eye, it makes it that much harder for other artists to take chances, to risk, to fight for their vision, or even think of trying. I submit that CIRQUE DU SOLEIL would be termed by many in attendance as “incoherent narrative.” Every CIRQUE DU SOLEIL show tells a story. But it does so in its own way, via its own form of expression. Now perhaps the visual feats of the show itself compensate for any confusion the audience may have about the actual “story” being told, but that does not mean the essence of the story is not taking hold. Modern dance, ballet, acrobatics, music all tell stories in unique ways that are not always comprehended in traditional terms. Or they simply take an understanding of the language of the art form in order to decipher more accurately what is being expressed. But having those tools is not necessarily a requirement. There are many ways in which we take in narrative, in which we experience storytelling. Some are more challenging than others. And some reach us in ways we don’t understand and perhaps have a violent or negative reaction to as many do to, say, the films of John Cassavetes. One of the other writer/filmmakers who chimed in on our Facebook chat once shared his opinion with me that directors should not edit their own movies; that doing so has more to do with ego than with what is best for the story, for the film. I wrote about that exchange and why I personally, as someone who edits his own films, found it to be not only extremely closed-minded but dangerous insomuch as it applies rules to the artistic process where no rules should apply. What works for one filmmaker, writer, sculptor, painter, actor, singer, dancer, what have you, is not necessarily what works for another. Artistic expression, language, and the paths and processes we engage in on our journeys toward our finished works are not things that can be set down as rules. There is no such thing as right and wrong in this arena. To assume there is, is to limit the artists and, by default, the level of art we receive, are exposed to, moved by, provoked by, touched by. You can read my essay on that particular subject in more detail at: “How Dare You Edit Your Own Film,” And Other Creative Alienations. This same filmmaker recently commented that SPIDER-MAN deserved better than Julie Taymor, a comment which on its own is a strange beast given that we’re talking SPIDER-MAN here and not, well, Shakespeare, which Miss Taymor has also tackled on numerous occasions to both critical acclaim and critical disdain. I personally land strongly in the former. 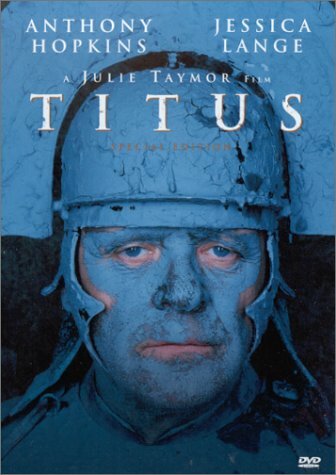 I thought TITUS was a singular vision of Shakespeare’s words and world that stirred me. I thought it was tremendous. But there are those who are not fans of TITUS or any of Taymor’s work, who would prefer to call her “Pretentious.” Ahhhh… Now there’s that word again. Be wary, friends. Pretentious… Those same films I mentioned earlier that were termed “narratively incoherent?” Exactly. They were also coined “pretentious” by many a critic and audience member. But what would make those films or even Julie Taymor’s SPIDER-MAN pretentious? According to one screenwriter, Taymor’s involvement with SPIDER-MAN was nothing more than an “unfettered ego sidetrack thing.” He suggested that Taymor’s intention to combine the SPIDER-MAN story with “some Greek dance magic” had nothing to do with the world of SPIDER-MAN and was not only “PRETENTIOUS,” but was actually an outright rejection of the SPIDER-MAN source material with intent to imprint it with an auteur vision and therefore an insult to the artists who created the SPIDER-MAN mythos and was condescending to boot. So let me get this straight. Wanting to take a new and different approach to the SPIDER-MAN legend is pretentious. Altering it from what it has been in the past is pretentious and condescending. I suppose the comics, the TV series, the first movie franchise, the new “re-boot” movie franchise currently in the works… There’s no room in the world for another vision of SPIDER-MAN? Really? To attempt such sacrilege is an act of pretension? Well, I suppose if you are referring to the definition of pretentious as grandiose, elaborate, extravagant, flamboyant, ornate or even overambitious. Well then I don’t have an argument. But if you are using the term in a derogatory manner to mean sophomoric, pompous, artificial, snooty, or characterized by assumption of dignity or importance, then I question how anyone, not having seen the show nor engaged with Miss Taymor herself, would know such a thing? The play may not have been any good, that possibility certainly exists, but pretentious? Probably not. What I have found is that this is a word that is not only overused as a replacement for genuine, honest criticism, but it is also quite often misused. As for Miss Taymor’s combining of Greek mythology and the SPIDER-MAN mythos, I would not have been surprised if her interpretation might not have captured something innate, something familiar and revealing in the way in which our myths converge despite thousands of years’ separation in creation dates. I suggest reading author Vladimir Propp’s book MORPHOLOGY OF THE FOLKTALE for more connections on that concept. As for being an unfettered ego-sidetrack thing, let’s look at Taymor’s career. It has been pointed out on many occasions by those familiar with Taymor’s work, that she has always had a deep fascination with the connection and integration of humans and animals. For the production of Carlo Gozzi’s The King Stag, Taymor designed the masks and puppets which combined a man with a stag. Taymor also designed the puppets and masks for Juan Darien, wherein a boy becomes a tiger. And then, of course, there’s The Lion King, which seamlessly integrated humans and jungle animals. Or how about The Green Bird, the off-broadway and then Broadway production about a prince trapped inside a bird? So is it so unreasonable, so outside comprehension, that Taymor would be attracted to a story about a man who becomes, essentially, part man, part spider? In her re-imagining of the tale, Peter Parker is bitten (impregnated, in a sense) by a female spider who is an offspring of Arachne, a character inspired by Greek mythology, who turns out to be the villain of the show. This is certainly not the first time Taymor has mixed stories and ideas to create a new hybrid of the two. Quite often to startling effect and rave reviews. Another screenwriter commented that Taymor was nothing more than the establishment’s accepted version of avante garde. He suggested that most everything she does from The Lion King to Shakespeare, is nothing more than “tricked-out kitsch” and that she was, by all accounts, a “weak storyteller.” Well, here’s one account that may not be in sync with that particular line of thinking. “Once Spider-Man began… it was unlike anything I had ever seen or felt. That’s often the case with Julie’s productions. Her theatricality engages the audience’s imagination. Taymor is called a visual genius, but her imagination isn’t only visual. It’s visceral. She makes you feel what it’s like to be something or someone else. There are forms of storytelling, not unlike the kind suggested by Stanley Kubrick in the quote I referenced earlier, that transcend traditional narrative and rely on feeling, on a mutual dream-state, on the subconscious, on those ethereal and intangible connections we have as human beings, to relay, transmit, and share with one another. There’s nothing that says you have to like it or engage in it, but there is no denying that it has its place in the world of art, be it music, poetry, sculpture, theater, dance, film, painting… What would art be without a sense of the abstract? And who is to pass judgement on the worthiness of an artistic attempt, particularly by those who have not themselves experienced that art in which they criticize? What happens when we shout “pretentious!” in a crowded theater? Well, for one, we aid an environment that is not conducive to risk or vision; where thinking out of the box is a punishable act. It is, in many ways, artistic bullying. Now I am not suggesting that we not be critical of our art. On the contrary, I believe critique is not only welcome, but essential! But it is “how” we critique that I question. Film director David Lean who brought us such cinematic treasures as LAWRENCE OF ARABIA, OLIVER TWIST, GREAT EXPECTATIONS, DOCTOR ZHIVAGO, BRIDGE ON THE RIVER KWAI, BRIEF ENCOUNTER and many, many others, praised by fellow filmmakers like Steven Speilberg, Martin Scorsese and Stanley Kubrick, voted the 9th greatest film director of all time in the British Film Institute Sight & Sound “Directors Top Directors” poll, stopped making films for nearly fifteen years. Why? Popular film critic Pauline Kael’s review of RYAN’S DAUGHTER was, though consummately written as always from a literary standpoint, nothing more than a disrespectful piece of nastiness. But of course Kael was not a fan of most of Lean’s films stating of his work “the emptiness shows in every frame.” Kael was eventually fired from McCalls by editor Robert Stein who stated, “I [fired her] months later after she kept panning every commercial movie from Lawrence of Arabia and Dr. Zhivago to The Pawnbroker and A Hard Day’s Night.” It was, of course, not only Miss Kael’s right to dislike those films, it was her job to write about them. However, I submit once again, it is how we choose to go about critiquing the work of others that should be explored. Luckily for us, Mr. Lean eventually returned to filmmaking and now we have the masterful A PASSAGE TO INDIA. But what did we lose in the interim? 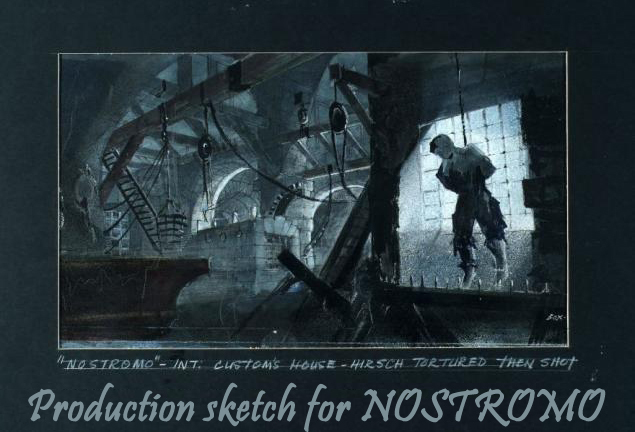 We know we never got to see Lean’s take on MUTINY ON THE BOUNTY or his adaptation of the Joseph Conrad novel NOSTROMO, both projects dear to his heart. Perhaps, had critics been more “constructive” in their criticisms of Mr. Lean and his films, had they had the foresight and vision to recognize that this was not a filmmaker devoid of talent, a hack, as it were, they may have offered him “useful” criticisms that he may have taken to heart or simply accepted as a difference of opinion, and we might then have NOSTROMO and many other unmade David Lean films to experience as well. When I suggested in our online conversation that we had, especially as fellow artists, some responsibility to promote an environment that allows artists to grow, take risks, be moved by their visions and, maybe most importantly, learn from their mistakes, I was met with the notion that it was not the critics’ job or responsibility to foster artistic growth. No? Well, perhaps my argument is that it should be. Or, at the very least, one should invite the question of intent. “What do I hope to gain from engaging in this criticism?” If not to foster artistic growth, then is it simply to be judgmental for judgment’s sake? Is it as a means of feeling superior? I suggest that it may be beneficial for anyone critiquing the work of another to know what they would like the end result to be. During our discussion, the question was raised on more than one occasion that if Miss Taymor were indeed an “artist,” then why was she engaging in directing a “massive, insanely commodified venture like a broadway musical franchise.” I’m not sure why taking on a Broadway show automatically removes Taymor from having a worthwhile vision. And unless you’ve actually seen the show, you cannot, in good conscience or fairness, critique its worthiness or artistic merits. One of the screenwriters engaged in this line of thought was someone who wholly embraced and highly recommended the experience of James Cameron’s AVATAR in 3-D. Certainly this is a fair equivalent to Taymor’s SPIDER-MAN in sheer size and expense. It was, after all, the most expensive movie ever made. And despite a rather large consensus that it was somewhat lacking in the script department and followed a rather overused, if not outright tired, formula, it was still nonetheless a cinematic experience that the screenwriter I was speaking with felt was at least as important for film lovers to see in a theater as Kubrick’s 2001. And I won’t argue that he was wrong. And yes, I know many, many people who hated AVATAR and many who loved it. But had the film bombed financially, Cameron’s attempt at spending this much money on a massive, insanely commodified venture like a Hollywood movie to tell an environmentally conscious alien love story would have been tagged “pretentious” alongside its “failure” moniker. Regardless of who it touched. All this said, one need not like an artist or their work in order to allow it the right to exist and, at the same time, have meaning for others. And I’m afraid, while I do believe that it’s every person’s right to criticize in whichever manner they choose, for whatever reasons they choose, I still believe that a certain level of responsibility is inherent. Whether or not you care about the outcome or effect of your words is another thing entirely. But know that your words can result in works of art you may have quite possibly cherished, not being created at all. We have a choice: we can be constructive in our criticism or destructive. I personally found many of the comments I heard on the subject of Miss Taymor and SPIDER-MAN to be more destructive and lacking in any real criticism of the work itself; it felt more like partaking in and quite possibly relishing the public bashing Miss Taymor was receiving. Like sharks in blood-infested water. If there’s to be growth, artistic and otherwise, a bit of self-reflection might be in order. But perhaps this knee-jerk reaction, as I see it, may have more to do with some measure of fear, or perhaps an honest misunderstanding of the process, than it does with any type of actual criticism. Accusations of pretension, incoherent narrative, or a simple, “I don’t like it” are no replacement for analytical critique any more than saying something is “stupid” or “boring.” It’s an honest and valid reaction, but it says nothing about the artist responsible for the work. It’s all about the recipient. But even if one’s criticism is limited to “stupid” or “boring,” how we present those particular criticisms makes all the difference. To simply say “That work is stupid and boring” is not the same as saying “I found that work to be stupid and boring.” Semantics? Nitpicking? I don’t think so. Words have power. How you present your thoughts has a direct effect on how they land and what their impact and repercussions are. To call a work stupid or boring is to make a sweeping declaration of what that work innately is. On the other hand, to alter that phrase to point out what your personal experience of that work is, is another thing altogether. To go under the assumption that any statement you make is naturally taken as your opinion even when it’s not stated as such is to misunderstand and diminish the power of words. Again, this may seem a small change, a slight alteration in how we present our thoughts, but I believe it has great significance in the bigger picture of creating a safe and healthy environment for artists to work and explore. I also find myself discouraged at the level of outright “glee” I’ve witnessed on the part of some at the news of Julie Taymor’s firing and the disdain present in the notion that she, in attempting to do what she does, in being called a “visionary” or even simply having a vision, might not be, at least partially, a result of misogynistic tendencies, whether conscious or unconscious. I’m not saying that anyone who dislikes Taymor and/or her work are haters of women, but I would be remiss in my duties here if I did not at least entertain the possibility that this might, indeed, play some part. There is an extra “bite” to much of the criticism I have read and heard that seems to suggest something else under the surface. Not unlike some of the hate I’ve seen directed toward President Obama that, like it or not, suggests at least the possibility that racism might play a role in a portion of the public’s strong negative reaction, despite most everyone’s insistence that it plays absolutely no part in their actions, reactions, or decision-making. 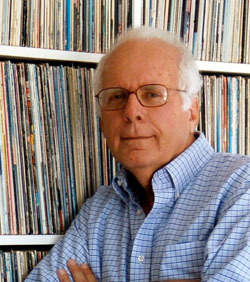 Robert Hilburn was the head music critic at the Los Angeles Times for 30 years. Something Robert managed that very few of his fellow critics managed, was that he was actually influential in the music world; he gained the trust of musicians, not by showering them with praise, but by offering them very real, constructive criticism. In my conversations with Robert, he was very clear about how uncommon it is to find music critics that seem to move beyond either blind praise or churlish, angry criticism. It was Robert’s desire that, as a music lover, he see artists grow, expand, reach their full potential. Why? Because as a lover of music, this would allow great music to potentially be created and, therefore, Robert himself would be able to partake of the joy of listening to and being moved by that very music. He wasn’t a music critic because he loved to criticize musicians, he was a music critic because he loved music! So while other critics were vicious toward an up and coming band called U2, Robert, though disappointed in many of their early albums and not afraid to express that in his reviews, often focused on what was good and promising about U2. He saw the potential of what was there and wanted to see them grow to reach that potential. But he was not afraid to criticize them. The day the review appeared, Bono called Robert to say he would heed his words. That the rest of the band had been trying to stop Bono from his “antics” for a long time, but he just hadn’t listened. Until now. He informed Robert that he would not be jumping off balconies or climbing scaffolding anymore. He understood, now, that the music was enough. So I ask again, what is to be gained in publicly calling Julie Taymor pretentious or stating that SPIDER-MAN deserves better than Julie Taymor? And what do we really know about her? How quick we are to judge, based not on any particular reality, but on our own fears, desires, and misunderstandings. “In media reports about Spider-Man, Taymor has been described as a perfectionist out of touch with concerns of budgets or the opinions of others. The person I know is a true collaborator who enjoys and wants the contributions of others and incorporates their contributions into her ultimate vision. She is also caring, hard-working and mindful of budgets. Furthermore, what’s wrong with being a perfectionist or committed to a vision? It is far easier to condemn someone whose work we don’t appreciate or understand, than it is to find ways to foster growth in the areas that we see potential. It seems to me that what happened here with Taymor may have fit more into what some people were feeling about her already, their preconceived notions, opinions and reactions –or their deep feelings about “the Spidey mythos” itself– than about any truth of what she was trying to do. That said, the same can be said of me. My reaction is based on the fact that I admire much (though not all) of Taymor’s work. I want to see more. And I don’t find her to be a “weak-storyteller” in the slightest. Nor do I have any love or deep connection to SPIDER-MAN or its mythology so I have no opinions to offend there. Ironically enough, I had very little interest in actually seeing SPIDER-MAN outside of Taymor’s contribution. I’m not a big fan of the music of U2 and therefore Bono doing the score is not a personal draw for me, though I understand and appreciate its commercial and popular allure. No, for me, what Taymor was bringing to the table was the ONLY thing of interest to me about the entire project. And I dare-say, what ends up remaining of her vision in the final product may be the only part of the production that shows any creativity for me beyond the simply commercial execution. But again, these are my flaws, my preconceived notions, opinions, and desires. I am not immune to any of this. But I do desire to be aware of my own limitations and the ways in which I allow them to manifest. Both internally and externally. Perhaps even what I’ve written here today will prove to be less insightful or constructive than I intend and hope it to be. Perhaps it will be seen as just more bashing. I certainly write it as much from a need to articulate my thoughts and feelings as I do a need to affect change. In their closing comments on our Taymor thread, I was accused of stating that it was not okay for someone to dislike a particular work; that I was suggesting the disliking of a film in and of itself was a form of negative criticism. Of course, I never said nor suggested any such thing. I was also accused of stating that anyone we deem, or who deems themselves, an “artist” is automatically “worthwhile,” and should be respected and exist free from hard critical scrutiny. Again, never said it or even suggested it. But it’s a curious thing to witness and it harkens back to what I was mentioning earlier about what we bring to the table that may have more to do with our reactions than the subjects we are actually commenting on; that it is more a reflection of us, than of anything else. Though nothing I wrote suggested any of the above accusations, perhaps what was “read” as opposed to what was “written” has more to do with the fears and concerns of the reader than the intent of the writer. And the same could be said of my interpretation of their comments. Though I have re-read them all for clarification, I am not immune to the particular magnifying glass of experiences and emotions that I view the world through. And while it would be a perfect universe if artists were made of stone and unaffected by the negative press and misguided rantings of those more interested in serving their own desires to condemn and lambaste as opposed to taking a higher road and offering real-world constructive criticism for which every party benefits, the sad truth is that it is quite daunting and frightening to go out on a limb to express oneself, to have a vision of something that is new, different, or simply unknown, unexplored, but deeply felt. Artists are, more often than not, quite fragile individuals. And while I fully grant my friends that they have every right to proclaim someone pretentious or egomaniacal or even a hack, I also offer the notion that there is another option out there. But I suppose that all depends on what we hope to feed: the art itself and the environment in which it’s created (an environment we ourselves proclaim to be a part of) or our own fragile egos. The huge budget musical extravaganza SPIDER-MAN, for which Miss Taymor committed nine years of her life, looks like it may not have ultimately been the best avenue for her to express herself artistically, insomuch as the final result will most likely not be an accurate depiction of her vision. But not all great works are created with little money in dark basements. GONE WITH THE WIND holds a special place for many for a reason. And I am often VERY critical of big-budget Hollywood films, as anyone who knows me will attest to. Mostly because I don’t find it a conducive environment to artistic expression or one that attracts many filmmakers interested in artistic expression. But there are ALWAYS exceptions. And I have no doubt Miss Taymor has learned some very hard lessons about herself and her own needs and desires here and the environments in which they may be best able to thrive. And I, personally, look forward to seeing what she does next. Regardless of whether or not it completely works for me.